PALMDALE, Calif. - A 16-year-old girl was killed early Sunday morning after a suspected drunken driver plowed his vehicle into an apartment complex in Palmdale, authorities said. Shortly after 4 a.m., a deputy on patrol noticed the minivan inside the apartment complex, CBS Los Angeles reports. 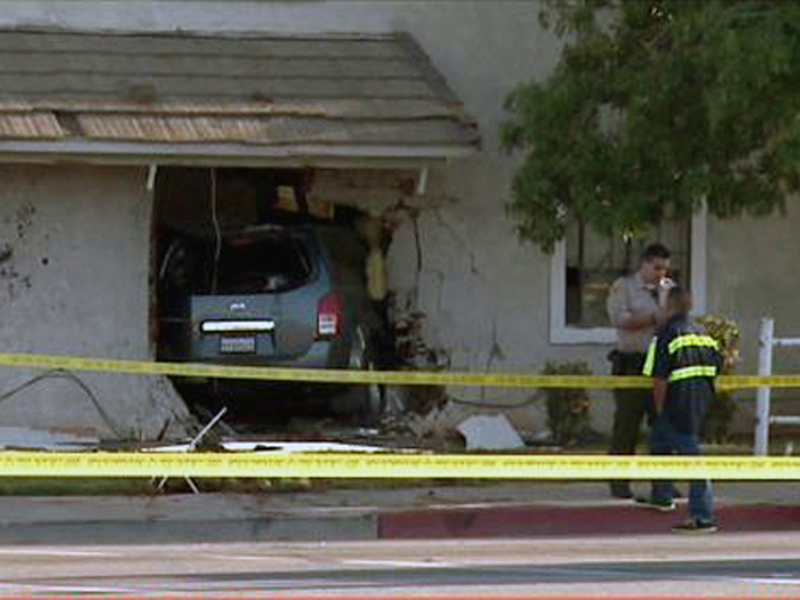 "The vehicle was embedded into the building and went into the bedroom of a 16-year-old girl who has passed away as a result of injuries from the accident as far as we can tell," Los Angeles County Sheriff's Lt. Ken Wright told CBS Los Angeles. "She was my little sister. I just hope people who drink and drive ... I mean ... they are just causing pain for many families," the victim's sister said. Friends told Hodge the victim attended Palmdale High School. Her identity has not been released. The suspect was identified by deputies as Roberto Rodriguez, 20, of Palmdale, according to Hodge. "He has been taken to the hospital to be treated for his injuries and will be booked for vehicular manslaughter," the lieutenant said. "Preliminary investigation indicates he was under the influence of alcohol." Hodge also reported that several residents were evacuated pending a building inspection.